﻿﻿The best place to start is that the Parish has a regular walking group called TRAMPS. Visitors and residents are always welcome to join the group. There is an area on this website for Tramps already under Clubs & Groups.There is a program of walks so you can plan ahead. Bantham / Thurlestone.- This walk can easily be shortened in half as there are paths leading through the Yarmer estate and across Thurlestone Golf Course via public footpaths to the coastal path. Here is a link giving route, other information and map. If you want further extensions to this walk with the same level of difficulty then continuing on the coastal path from Bantham to Hope Cove will roughly double the distance. Slightly further afield there is a wealth of walks available within short driving distance in this area. Below is a link to a "Walking in England" website giving help to find the right walks for you. 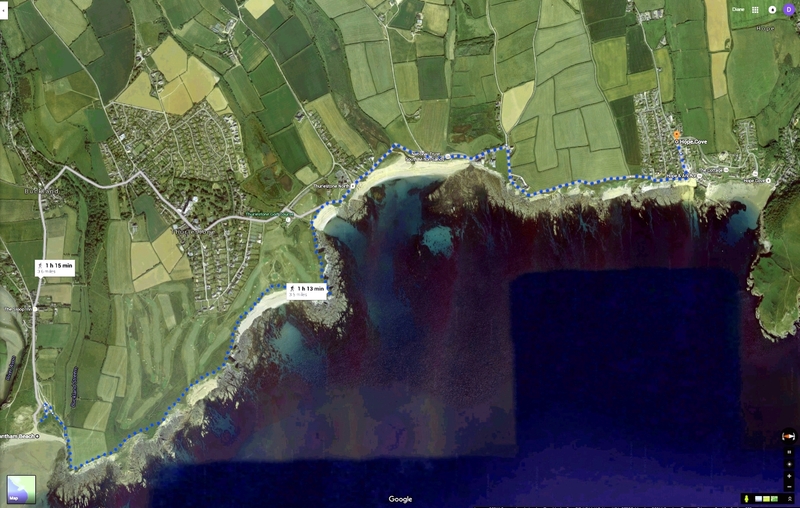 ​﻿﻿For even further afield the website "South West Coastal Path" will be useful.